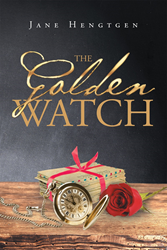 Recent release “The Golden Watch,” from Page Publishing author Jane Hengtgen, is both emotional and passionate; this work takes the reader on a journey through history, and how love survives war. Jane Hengtgen, a devoted writer and author, has completed her newest book “The Golden Watch”: a gripping and potent story that examines the personal and mental struggles one has once returning from war. This work captures the readers heart as Dean and Molly fight for love and happiness. The author hopes this novel will bring hours of joy to the readers, and the readers then might look for her future novels. All three books have a connection: “The House on Third Street” should be read together with “The Golden Watch”. Jane Hengtgen’s latest novel, Preston Street, is in the writing stage. Published by New York City-based Page Publishing, Jane Hengtgen’s strong work seduces readers to read page after page as they follow Dean and the challenges he would confront, the bravery Molly showed during these times, and the significance of the golden watch. There is a sadness that lurks in every heart. To help another human being into a better place in life is the struggle here. Dean has lived a troubled life, until one day he meets Molly, the one person that can show him a way to change it all. Everything was a new beginning for both Dean and Molly. They wrote letter after letter. Would Dean ever see Molly again? As time went along, things were scrutinized, and reality set in. But it all stopped because of one big problem: war. During World War II, many men struggled with the thought that no matter what, they had the desire to stand tall, get into the military, and do their share toward the fight for freedom. This was a man’s proving ground for his own soul. Letters many of them were written to the women back at home. However, many were never received, or they were so late in being received that the mother, wife, or sweetheart could never really know where their men were, or if they were even still alive. Everything had been difficult for Dean, but at last, he was home. However, if he thought war was bad, he had no idea how far things would go in his life. Readers who wish to experience this profound work can purchase“The Golden Watch” at bookstores everywhere, or online at the Apple iTunes store, Amazon, Google Play or Barnes and Noble.